The study was funded by the National Institute on Drug Abuse, a U.S. government agency, and it was published by Matthew Carpenter and Kevin Gray in the online edition of Nicotine and Tobacco Research. 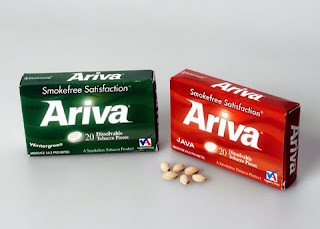 Carpenter and Gray wrote that their findings suggest “that Ariva and Stonewall are effective products to curb withdrawal and craving.” In other words, these products satisfy smokers. This is important because tobacco prohibitionists have complained that telling smokers about vastly safer smokeless substitutes will “undermine quitting.” Never mind that this puts their dream for a tobacco-free society ahead of the health of people who smoke. The new research shows that tobacco harm reduction is completely consistent with both the health of smokers and broader public health goals. Had Carpenter-Gray successfully completed a lung cancer vaccine trial, it would have made international headlines. Instead, their monumental study on smokeless tobacco, with major implications for immunizing smokers against lung cancer, has gone unnoticed. With the lives of millions of smokers at stake, their work deserves greater attention. On January 14, federal judge Richard J. Leon ruled that the FDA does not have the authority to regulate e-cigarettes as drug-delivery devices. (The 32-page opinion, available here is required reading for anyone interested in American tobacco policy). In addition to being a victory for e-cigarette manufacturers, this decision has enormous positive implications for tobacco harm reduction and for American smokers. Judge Leon’s decision was not popular with tobacco prohibitionists. Matt Myers, president of the Campaign for Tobacco-Free Kids, seethed: “"Nicotine in products currently regulated as drugs and devices is derived from tobacco products, but that doesn't make them tobacco products.” The federal court, thankfully, found otherwise. According to the New York Times, Myers was a primary author of the Tobacco Act. His goal was to cast the regulatory net widely and subject all tobacco-related products to FDA control. It is therefore ironic that the court has interpreted his legislation to free a potentially broad array of recreational nicotine products from the most stringent categories of regulation. Judge Leon’s opinion may open up other commercial opportunities for recreational nicotine. Currently, pharmaceutical companies market nicotine gum, patch and lozenges as temporary “medications” for smokers who are attempting to achieve nicotine abstinence, the holy grail of tobacco prohibition. This has been an utter disaster, since the products are successful for only about 7% of smokers who try them, as I explained in a previous post. In addition, the FDA has refused to respond to a petition by New York State Commissioner of Health Richard Daines to revise package labeling and sale of nicotine that would greatly expand consumer awareness and availability. But Judge Leon’s decision removes nicotine from FDA jurisdiction as a medicine as long as no therapeutic claims are made. If this ruling stands, it will allow pharmaceutical companies to reposition nicotine gum, patches and lozenges as recreational devices with higher doses that satisfy smokers, and sell them at prices competitive with cigarettes. 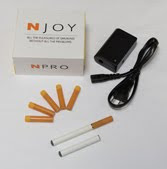 This would liberate nicotine from the onerous and unnecessary restrictions and warnings currently mandated by the FDA. This would be a revolutionary development for tobacco harm reduction. It would in effect accomplish what I first advocated in 1995 – deregulation of nicotine. A serious warning to mint and wintergreen smokeless tobacco users: Your flavors may be prohibited soon. Pankow and his group analyzed levels of mint and wintergreen flavorant chemical compounds in sub-brands of smokeless products. The major flavorant in mint products is menthol, and the major flavorant in wintergreen products is methyl salicylate. As a comparison, the same flavorings in candy products were measured. In order to report results that are meaningful to consumers, Pankow made some assumptions about consumption – and some of those are whoppers. First, all of his calculations are based on an adult body weight of 60 kilograms, or about 132 lbs. This is a gross underestimate; the average weight among American men is about 80 kilograms, or about 180 lbs. The obvious effect is that estimates of flavorant “overconsumption” are exaggerated for lower body weights. But I’ll stay with the 60 kilogram assumption. Pankow’s next assumption is about smokeless consumption. Pankow assumed that users consumed about 15 grams per day. That doesn’t sound unreasonable, but here’s the shocker: Pankow assumes that smokeless users effectively swallow the entire 15 gram dose and absorb 100% of the contents. That’s the same assumption he made for mint and wintergreen flavored candies. For mint flavor smokeless tobacco, Pankow’s results weren’t too bad. He found that “menthol… was found… at levels... that average 50% higher than in” mint flavored candy. Furthermore, smokeless users would get only 20% of the maximum acceptable daily intake (MADI), which is set by the Expert Committee on Food Additives, administered jointly by the Food and Agriculture Organization of the United Nations and the World Health Organization. For wintergreen users, the results appeared to be much more ominous. Pankow found that average levels of methyl salicylate in smokeless products were eight times the levels in candy. More important, smokeless users may theoretically get eleven times the MADI level. This appears frightening, but it is based on 100% absorption of the wintergreen flavor and everything else in the 15 gram daily consumption of smokeless tobacco. This, of course, is patently absurd. A simple example proves how Pankow manipulated the results, not just for maximum wintergreen levels, but to make the maximum case for prohibiting this flavor. The proof is in the levels of nicotine, otherwise known as “Vitamin N,” which Pankow also reported. For wintergreen flavored products (except Hawken), the average nicotine level was 10 milligrams per gram. Using Pankow’s assumptions, the average 60 kilogram smokeless tobacco user consumes 150 milligrams of nicotine. THIS IS 2.5 to 5 TIMES THE LETHAL DOSE OF NICOTINE. We know that wintergreen smokeless tobacco users are not consuming lethal doses of nicotine, and it follows that they are not consuming unsafe doses of wintergreen flavor. But that won’t stop prohibitionists from calling for a tobacco-product flavor ban like the one proposed for New York City. In fact, Pankow’s Portland State press release is full of quotes characterizing smokeless products as deadly and manufacturers as evil. Unflavored smokeless tobacco products are unappealing to many smokers, so the success of tobacco harm reduction is vitally dependent on the availability of substitutes that are satisfying and flavorful. Anti-tobacco extremists know very well that satisfying and flavorful products are now on the American market, so they are using ANY tactic, regardless of its practical or scientific validity, to promote prohibition. This campaign to ban smokeless tobacco flavors is in full motion. Two prominent media articles this weekend clearly illustrate the challenges facing tobacco harm reduction in the U.S. The words of wisdom come from Steve Chapman, a member of the Chicago Tribune’s editorial board. Chapman has a longstanding interest in this issue; he wrote intelligent and informative articles in the Tribune in 2004 and in 2006. The current piece describes the American regulatory environment that prevents tobacco manufacturers from engaging in truthful communication with smokers about vastly safer smokeless products. Unfortunately, it’s not just average Americans who are confused. An article in the Orlando Sentinel is proof that even Dr. Clarence Brown, president and CEO of M.D. Anderson Cancer Center-Orlando, is clueless on this topic. Smoking is an established risk factor for type II (adult onset) diabetes. A new study, published this week in the Annals of Internal Medicine, found that the diabetes risk from quitting smoking is even higher. A group of researchers from The Johns Hopkins University evaluated the development of diabetes among participants of the Atherosclerosis Risk in Communities (ARIC) Study, which has followed 16,000 middle-aged adults from Forsyth County, North Carolina; Jackson, Mississippi; Minneapolis; and Washington County, Maryland. Using never smokers as the referent comparison group, the investigators assessed the risk of developing diabetes among former smokers (who had quit before entering the study), new quitters (who quit after study enrollment), and continuing smokers. Compared with never smokers, the risk for diabetes among continuing smokers was 1.3 (95% CI = 1.0-1.7), a 30% increase (only a modest elevation in real-world terms). This is consistent with previous studies, and it is unsurprising since smoking is associated with many diseases. The unexpected finding was the elevated risk among smokers who had quit. Normally, a smoker can expect a reduction in risk for illnesses after quitting. The decline in risk comes quickly for some diseases, such as heart attacks, while it falls more gradually for lung and other cancers. But the diabetes risk for new quitters in this study was 1.7 (CI = 1.2-2.5), which is twice the risk among smokers. Does this make sense? Absolutely. Numerous studies have documented that cigarette smoking suppresses body weight, and that quitting is commonly followed by substantial weight gain. The weight gain ranges from 6 to over 20 pounds, and it is dreaded by smokers as much as it is ignored by anti-tobacco activists. 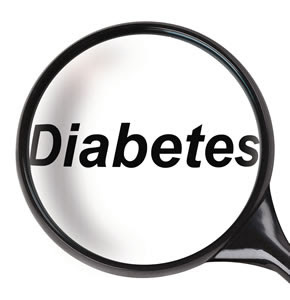 This study shows that it is a significant risk factor for diabetes. I have conducted research with Swedish collaborators on tobacco use and its effect on weight and diabetes. In 2004, I was the lead author of a study documenting that Swedish men who quit smoking by switching to snus avoid weight gain. We conducted a study using World Health Organization data from northern Sweden. Smokers who quit tobacco entirely gained significantly more weight (about 1% per year) than smokers who switched to snus (about half a percent), nonusers (annual 0.4% gain) or continuing snus users (0.4%). Also in 2004, I was the senior author of a study of the effect of smoking and snus use on type II diabetes. We found that, compared with nonusers, the risk of developing clinically diagnosed diabetes during follow-up was 4.63 ( CI = 1.37-16) in smokers and 3.20 (CI = 1.16-8.8) in ex-smokers. Importantly, we found NO cases of diabetes in snus users. Smoking cessation was estimated to be responsible for about one quarter of the increase in prevalence of overweight among men in the U.S. during the 1980s. Because modern smokeless tobacco products deliver nicotine in satisfying doses that permit smokers to quit without gaining weight, they may prevent the development of type II diabetes that is prevalent in smokers who quit by abstaining completely from tobacco. Smokers: gain less weight and lower your risk for type II diabetes by switching to smokeless.